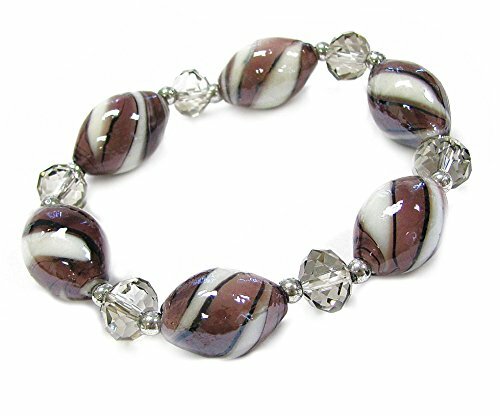 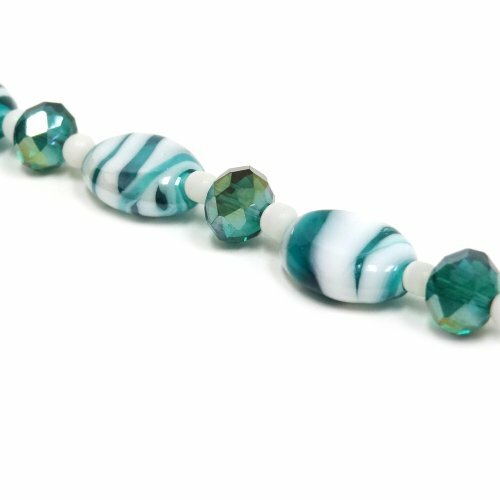 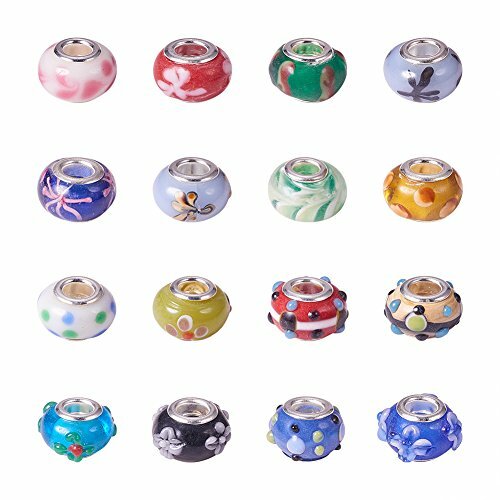 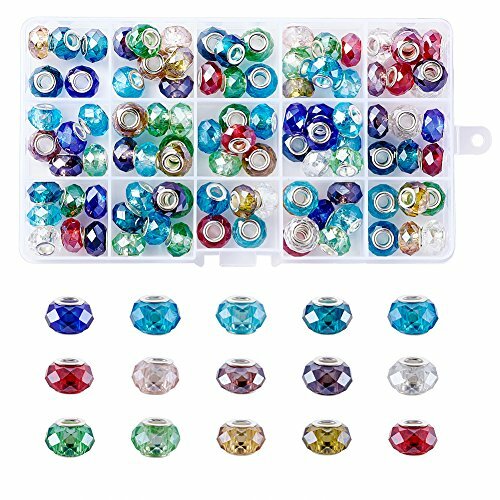 Glass European Beads, Mixed Color, Brass Core in Silver Color Size: about 14mm wide, 9mm long, hole: 5mm Sparkling crystals have multiple facets, creating a spectacular play of light. 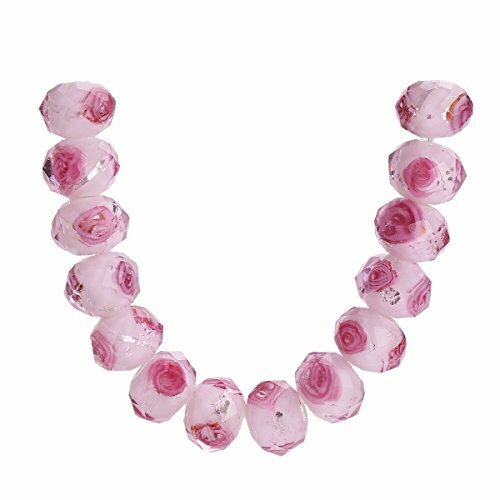 Quality crystals are precision-cut and polished. 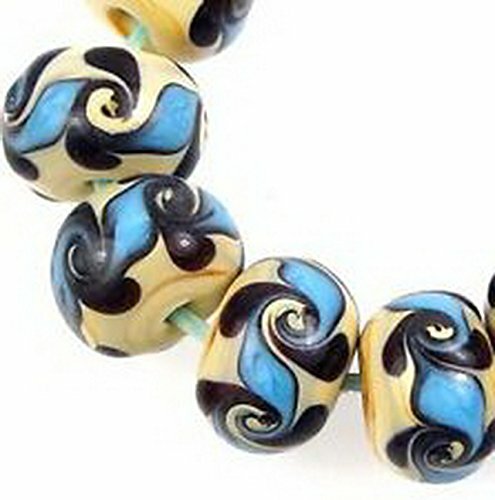 Its large hole perfectly match with European chains, snake chains, wide leather laces and hemp twines, braided fabric strips, fiber cords and other stringing materials with a wide diameter to increase your design possibilities.Please Note: Due to stock variety, color or shape of mixed products may vary from photo sample shown on our website. 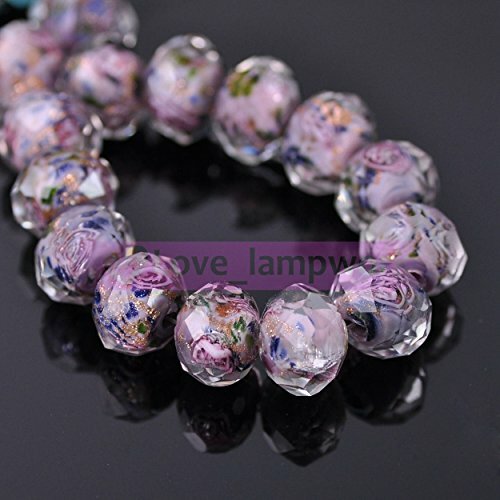 Handmade Lampwork European Beads, Lage Hole Rondelle Beads, with Brass Cores, Mixed Style, Mixed ColorSize: about 11~18mm wide, 8.5~13mm long, 8.5~11mm thick, hole: 4.5~5mm.Handmade lampwork European beads with charming appearance that add beauty and brilliant hue to jewelry designs. 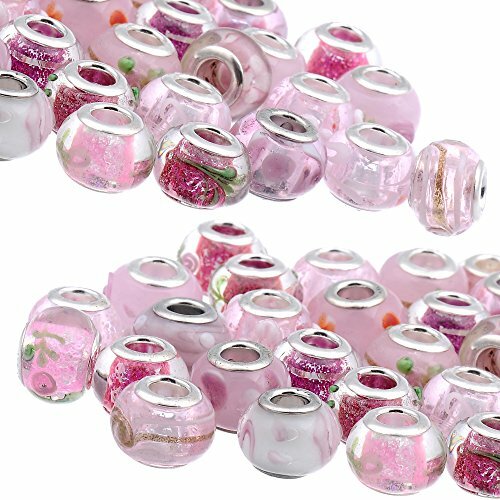 Large bead hole makes these beads an excellent choice for multi-strand projects and for use with European style bracelet and necklaces, leather and ribbon. 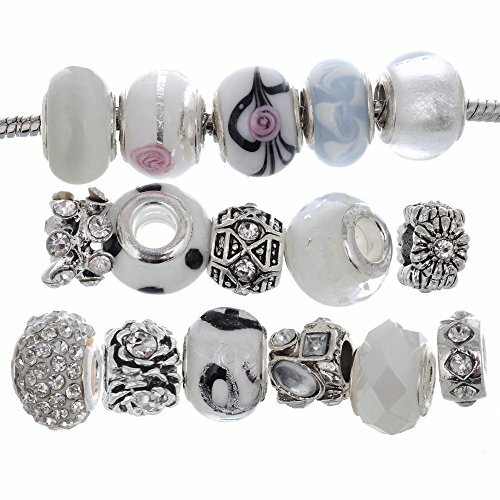 Due to the handcrafted nature of the beads, size, shape and colors may vary slightly.